This is one of our most comprehensive first aid points for managing a wide range of workplace accidents and emergencies from first aid, through to burns, eye care and biohazard disposal. The Evolution BS Compliant Complete First Aid Point helps you comply with British Standard requirements for workplace and provides all the necessary supplies to create an effective first aid point, such as brackets, bracket labels and photo luminescent bracket header. 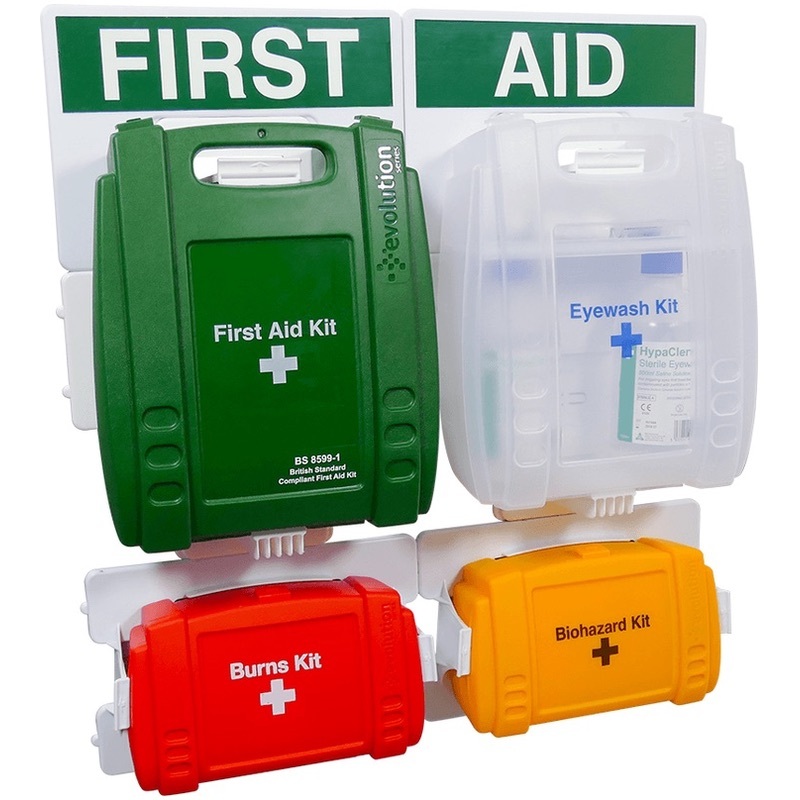 The First Aid Point is easy to identify and the different components allow you to arrange it depending on the organisation’s needs. What's more, each of these durable hinged cases comes out of the bracket in order to be taken to the location of the casualty. There is the option of 3 different size kits: small, medium and large.